For Years, the R.C. Lawson Institute served hundreds of inner city children who came to Southern Pines North Carolina for a private education in a spiritual setting. That concept has since been revisted by several noted educators who still believe that one of the most effective ways to enhance a child is to bring that individual to a private boarding school setting. 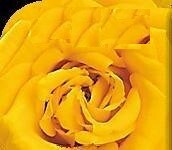 However, in the interim of building a new R.C. Lawson Institute building complex, a propsal shall be placed in the form of a resolution where the in the halls and classrooms of the Bible Way School in Del Rio Texas. 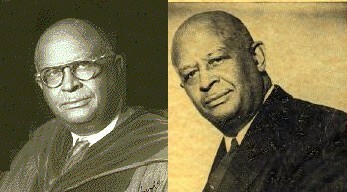 Bishop Lonnie Green, noted educator agreed to incorporate the name of the R.C. Lawson Institute into the name of the school which has received wide notoriety ub Texas as having an outstanding curriculum. Lady Ethel May Bonner was the graduation speaker at the Bible Way School and was received with great warmth and love. All of us will be asked to do our part in keeping the name and the dream of the R.C. Lawson Institute alive. The Official Magazine of the Church of Our Lord Jesus Christ Of the Apostolic Faith, Inc. Convocation Issue Fall, 1992. "Add Thou to it," was both a challenge to his spiritual offsprings, and an ever evolving catch phrase coined by our prolific Founder of the Churches Of Our Lord Jesus Christ. The Annual Founder's Day celebration held in May was hosted by the mother church , keeping his vision alive, while arming tody's generation with rich Apostolic heritage. Leading by example, Bishop Lawson was an ardent student of the Bible. During his lifetime he wrote many books, peoms, songs and articles. Some of his earliest books written in 1925 include the enlightening "Anthropology of Jesus Christ Our Kinsmen," revelaing the truth about the Negroid people of the Bible. This book was inspired by his first journey abroad in 1923, where he studied Egyptian painting, monuments and the very reality of black skinned people living in the Holy Land. His book was considered a forerunner of modern Biblical Black history, and served as a startling revelation to the Negroid and Caucasian races. Later he wrote books such as "Revelation," "How Sin, Why The Cross," and "The Burning Question, Marriage and Divorce." With authoring so many books, Lawson penned several songs, which continue to be treasured amid his many gifts. Songs such as, "Praise Thy Name," (written while in mid air, in route to meet with Ethiopian Emperor Haile Selassie); "Let The Redeemed Say So," "God Is Great," "Worthy Is The Lamb Slain..." and "His Name Shall Be Praised", just to mention a few. "The next bill before me is Introductory Number 403, sponsored by Council Members Perkins and Lopez. This bill would add, through the posting of an additional sign, the name "Bishop R.C. Lawson Place" to West 124th Street between Adam Clayton Powell, Jr. Boulevard and Malcolm X Boulevard in Manhattan. Robert Clarence Lawson was born on May 5, 1883 in New Iberia, Louisiana. After moving to New York, Bishop Lawson founded the Church of Our Lord Jesus Christ of the Apostolic Faith in Harlem in 1919. He began a campaign to raise money for the new church which he renamed The Refuge Church of Christ. In 1945, the church moved from a small building on 133rd Street, to a larger, revamped theater on 124th Street, with the new church being named the "Greater Refuge Temple." His sermons were broadcast on several radio stations that eventually enabled Bishop Lawson to spread the word of his church around the world. In addition to being a great orator, he was a prolific writer of books and songs. As a tribute to his tireless work and contributions to the community, this legislation would add the name "Bishop R.C. Lawson Place" to West 124th Street, between Adam Clayton Powell, Jr. Boulevard and Malcolm X Boulevard, in Harlem. For the reasons previously stated, I will now sign the bill." Robert Lawson's works are: The Anthropology of Jesus Christ Our Kinsman, Originally published 1925, reprint, 1969 (New York: The Church of Christ Publishing Co.); An Open Letter to a Southern White Minister on Prejudice, no publisher listed, no date given, around 1949; and Anderson, Bishop Arthur M., editor, For the Defense of the Gospel; Writings of Bishop R.C. Lawson, Vol. One, (New York: The Church of our Lord Jesus Christ of the Apostolic Faith, 1972) All of these materials are out of print and nearly impossible to locate. 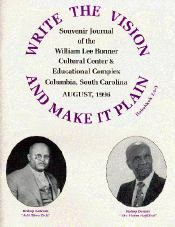 Consider contacting the Refuge Temple Church of Our Lord Jesus Christ in New York City or the William L. Bonner Bible College in Columbia, S.C. A scholarly article on Lawson's “Anthropology” booklet was presented at the Society of Pentecostal Studies annual conference in 2001 at Oral Roberts University and can be purchased through the society.